Long-term care is any kind of long-term support that becomes necessary. At least 70% of people over age 65 will require some long-term care and 40% of people under age 65 already require long term care, yet there exists a huge discrepancy in the number of people that think they will require long-term care; only 35% of people over 65 years-old actually believe they will need long-term care of some sort. The cost of care is rising beyond the rate of inflation. There is an increase in the cost of care among facility-based providers of roughly 4.35% compound annual growth. People can expect to pay more than $17,500 annually today than they did five years ago. Long term care insurance is becoming more and more important to consider for most families. A lack of preparedness can cause serious financial, emotional and even physical hardship. However, another fallacy is that everyone is eligible for long-term care insurance. Insurance companies and policies operate differently, and you may be turned down by one company while you are accepted by another. Here is a LTC policy checklist to help you compare plans. Given the wide variety of health conditions common today that can affect your ability to receive and pay for the care you need, it makes sense to consider looking into long-term care insurance early on, before it’s a vital issue. There are a number of different policies and benefits available today, from in-home care to facility care. Most people prefer to receive care in the comfort of their own homes, although sometimes that’s not possible. Personal Care Assistants or Companions can aid with household care like cleaning and cooking, as well as provide a conduit to the outside world by running errands. Home Health Aides have a more personal role in care and are able to provide bathing and dressing assistance. For those people with serious health issues, nurses can help with IVs, administer medications, and provide solutions to more complex health issues. If home care isn’t an option, there are a range of assisted care facilities, and it’s vital to choose the one that best suits your needs. For some people who are in fact able to live at home but still require some sort of support, an adult day health care center will be able to provide daytime social and therapeutic activities. 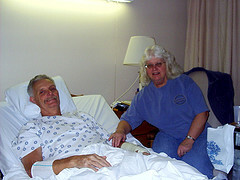 Some individuals prefer to live independently with on-site support for daily activities in an assisted living facility. If skilled and intense care is needed, then a Nursing Home is the best option for skilled supervision, medication administration, therapies, and rehabilitation. Cost of care varies by state, setting, age at the time you elect the policy and health status. Most importantly, know that once accepted for coverage, coverage cannot be cancelled for any reason other than non-payment of premiums, or if you have already received the policy’s maximum benefits.